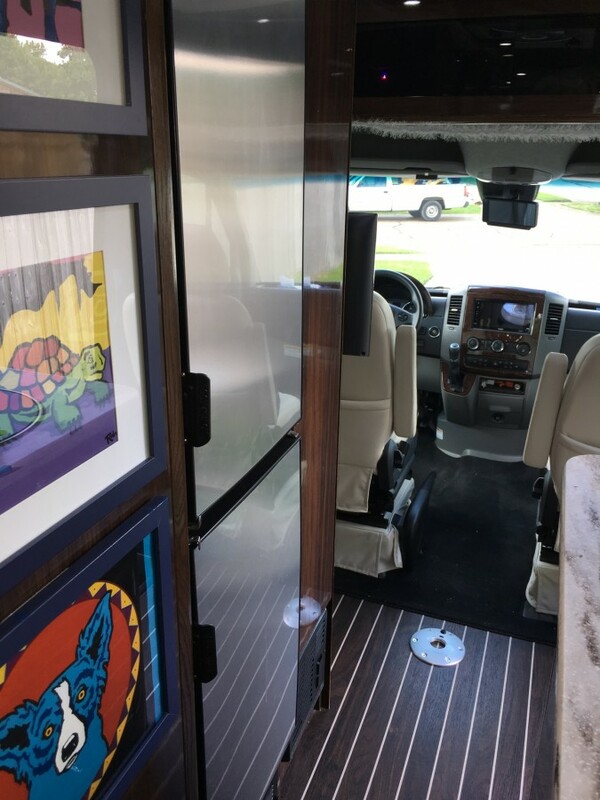 This 2016 Airstream Interstate Grand Tour Twin is in pristine, brand-new condition. We bought it new in 2017, and we are the original owners. 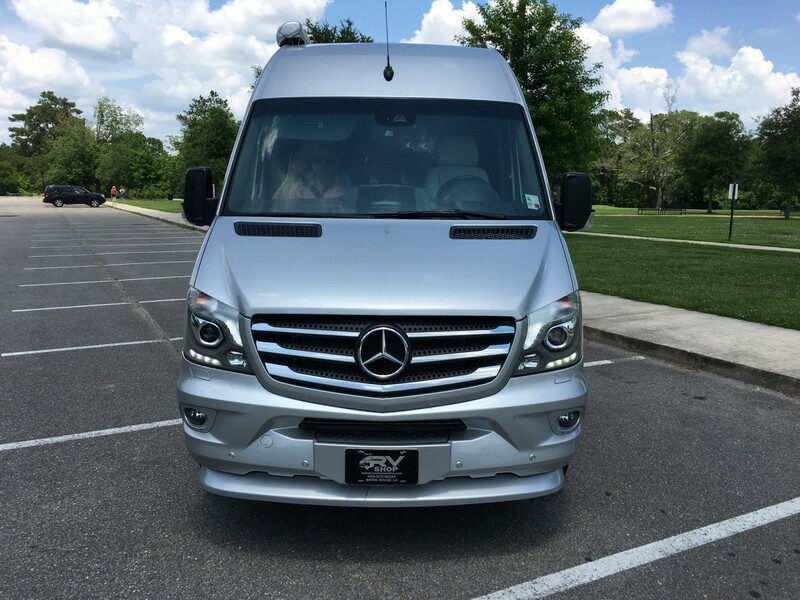 We had planned to take it on an RV odyssey from Louisiana to Alaska, but health issues forced us to cancel the trip. 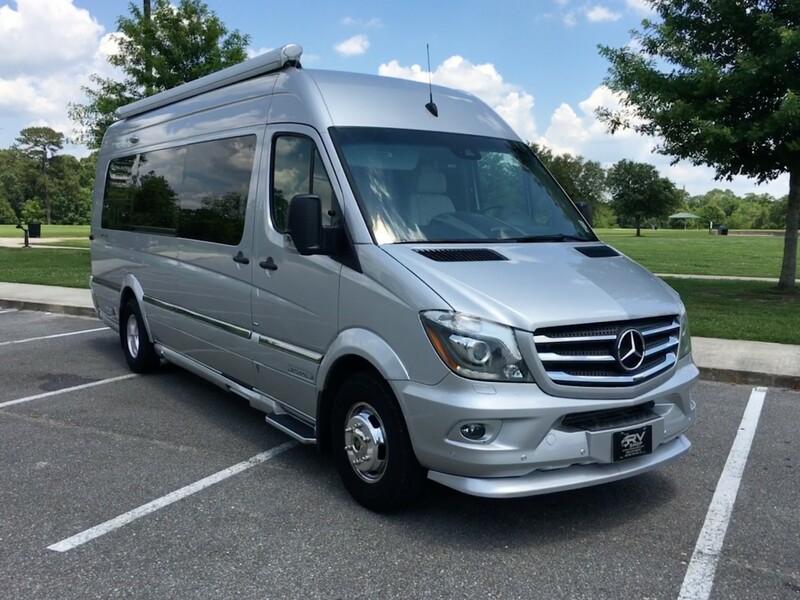 The coach has only 5400 miles on its Mercedes diesel engine that will tame even the most rugged mountain roads. It’s a dream to drive with its three cameras, lane keeping assist, blind spot assist and front distance warning. 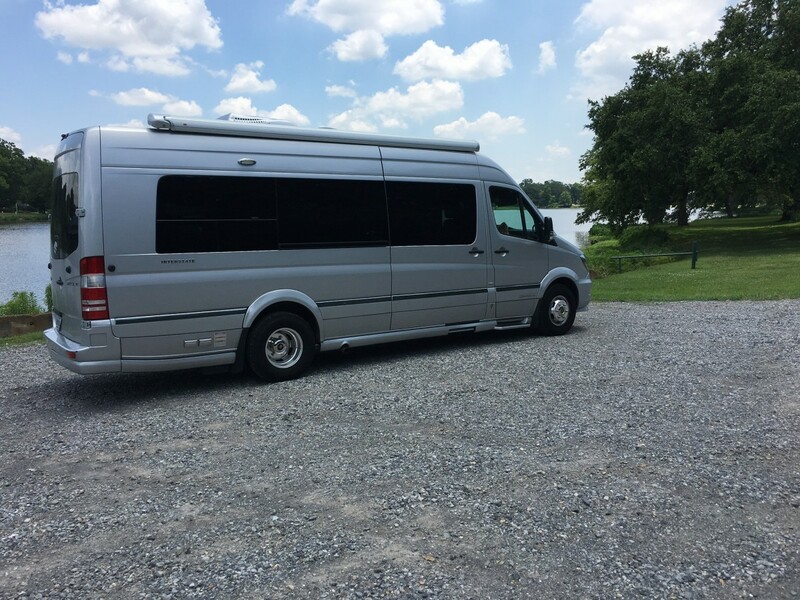 The Fusion GPS is especially designed for RV’s. The windshield is rain-sensitive as is the interior Fan-Tastic exhaust fan. The HID headlamps illuminate your travels at night brilliantly. The Sirius/XM radio never fades out. It’s equipped with a 2.5 kw Onan generator, a 1000 watt inverter and a 100 watt solar panel. 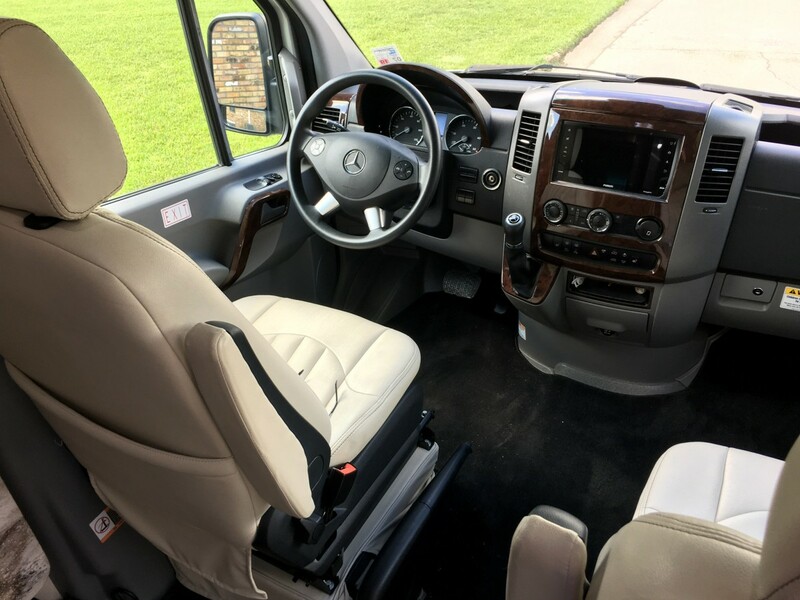 Inside, the coach is specially designed for two. The mattresses are residential quality, not just thin, plastic-covered pads. The bed can be transformed into near king-size with the special adapters provided. 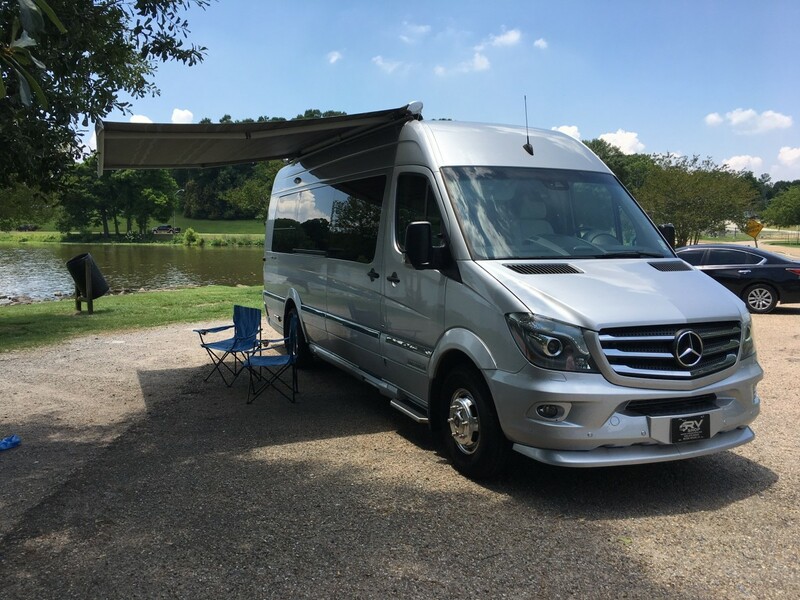 All the features are high end, as you would expect from Airstream, and designed for convenience and ease of use. The refrigerator and freezer are separate and have generous capacities. The microwave slides into the base cabinet when not in use. 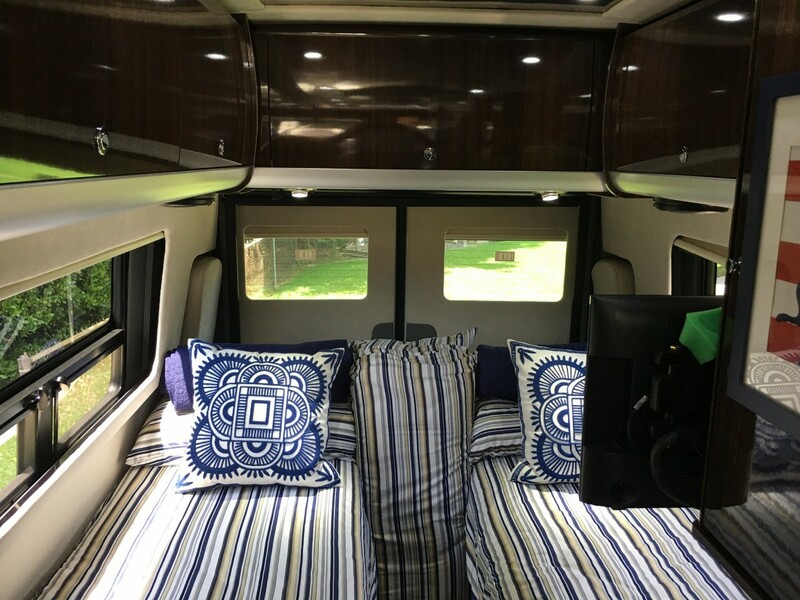 The interior lighting is all dimmable LED, including the lights on the awning and under-coach for enjoying your campsite at night. There are two Samsung HDTVs on movable mounts. The sunscreens and night shades are all motorized. 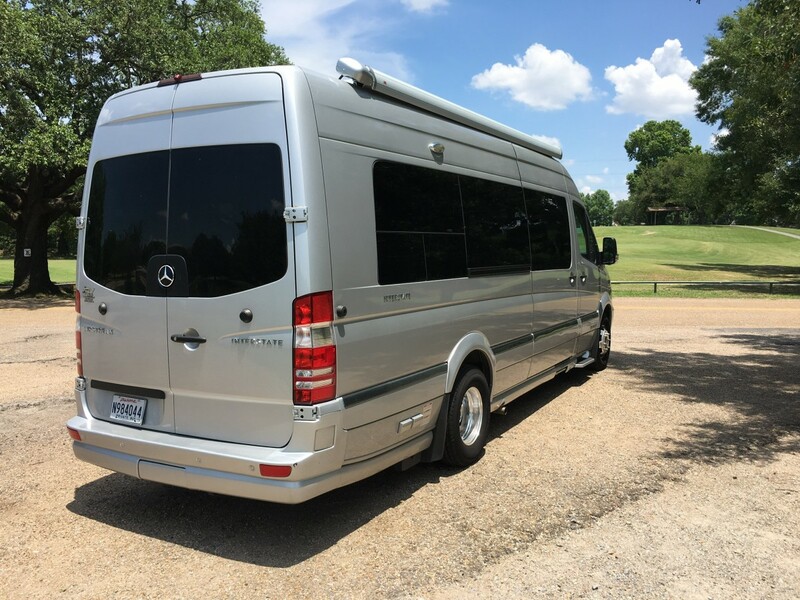 The rear is protected by a large motorized screen to keep the bugs out but let the cool evening air in, and there is a large sliding screen door on the main curbside entry. The bathroom is complete with toilet, sink, shower and its own exhaust fan. It has plenty of cabinet and “overhead” storage. 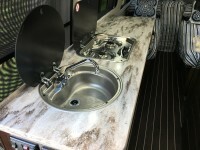 The galley features ample counter space with a twin burner cook top and hideaway sink and faucet. Selling this coach is bitter-sweet for us, but we know that we’ve finally aged out of it, and it’s time for us to come off the road. It’s a must see, and we’d love to show it to you.